The mystery of whether or not there will be an Unsolved Mysteries reboot has been solved: Netflix is bringing back the cult classic investigation show. Deadline first reported the news. The 12-episode reboot will keep the original series' format of interviews and reenactments to investigate true crime and paranormal cases, updated for the streaming era. Stranger Things executive producer Shawn Levy will produce Unsolved Mysteries for his company 21 Laps, alongside the show's creators John Cosgrove and Terry Dunn Meurer. 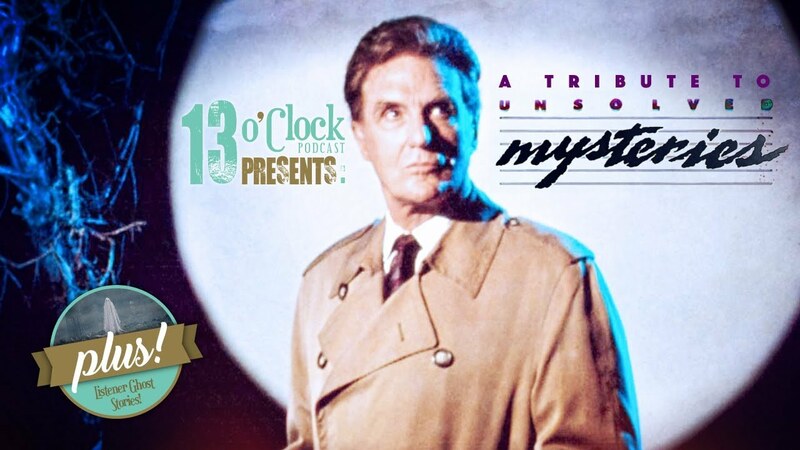 Over 500 episodes of Unsolved Mysteries have been produced for various networks. The show's original and longest run was from 1987 to 1997 on NBC with host Robert Stack. CBS and Lifetime then briefly had it after its NBC cancellation, and Dennis Farina hosted a revival on Spike from 2008 to 2010. Stack and Farina are both deceased, so the reboot will have a new host. Omg I used to watch that show in Europe and I loved it. One of the Roku channels carries it free, I was binge-watching it a few months back. Will always remember the ghost episode. That was some nightmare fuel for a kid my age at the time. Netflix is becoming Brobdingnagian. Is the bell tolling for Hollywood? Theme song to that show used to scare my kids for some reason. I catch a few episodes on Roku from time to time. The original is the best. I’d like this series left alone. All I have to say is that I still dont play old clips of that show at night, even though it’s such 80s cheese. Does TV Guide cover youtube these days as well or do they just cover certain streaming sites? Does TV Guide really cover transvestitism? Those two titles remind me of “In Search of” with Leonard Nimoy from the 1970s. As a very young 70s kid, In Search Of gave me a few nightmares. I still like it even with its dated looks. They must have bought some high priced synthesizers. Plenty of it in every episode. When “IN SEARCH OF” premiered forty or so years ago, they also published a book written by Alan Landsburg, published by Bantam Books, of the same title to generate publicity for the show. I read it at that time, and it was interesting, proposing lots of unanswered questions. Fifteen years later, I came upon the same book, and reread it. It had been so debunked that it was really laughable that anyone fell for the story lines. Rinder & Lewis made some great mood music for the show, as well as the theme. There was an LP record of music from “In Search Of....” released; unfortunately, the original show version of the theme music was not included.